Palm Beach Oriental Rug Cleaning Pros are experts in cleaning and maintaining the beauty and elegance of your Oriental rug, Persian rug, Antique rug or area rug. We specialize in cleaning Oriental rugs by hand washing and treating your rugs with extreme care to help restore them to their natural appearance. 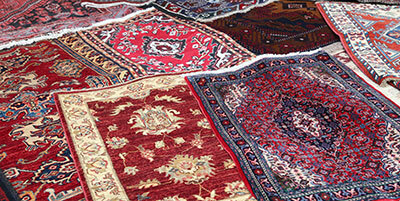 Our expert rug cleaners are the best in Palm Beach. 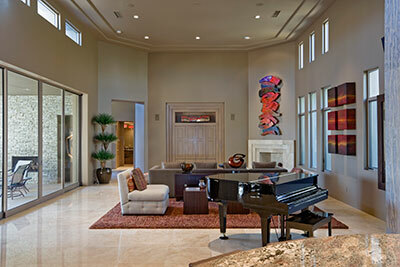 We also offer rug repair and rug restoration. 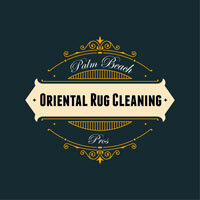 Palm Beach Oriental Rug Cleaning Pros serve Palm Beach, Jupiter, Tequesta, Stuart and all the surrounding areas. We will stop by your home or office to provide you an on-site, professional evaluation of your area rugs and offer you a no-obligation quote. If you like the service and our price, we will have your area rugs back to you in 7-10 days... While offering complimentary pickup and delivery. A handmade Oriental rug belonging to any one of the many styles they come in, like Indian or Chinese? A hand-woven rug featuring prominent Islamic designs, like Turkish or Persian ones? A rug that carries the signs and colors of a unique tribe, be it small or large and from any zone in the world? If you answered 'yes' to any of the above, look no further for the best care your rug can get. We have a knack for understanding the intricate delicacies of these one-of-a-kind rugs, and we're able to care for them in ways that are beyond cleaners who lack specialization in this area. Of course, machine-made rugs (Wiltons, Axminsters and Karastans) and various imported tufted styles like Kilim – as well as those made with special high-grade materials like Belgian wool – are just as welcome on our tables. If you know your rug deserves better care than most, we're certainly not going to argue on that. When looking to find the right cleaners for that irreplaceable rug you own, you can't afford to place it in the hands of someone who treats the cleaning process as a chore. We don't want to just clean your expensive rug – we want to restore as much of it as we can to its original glory. Regardless of where your rug comes from and whether it's hand-woven or tufted, we'll take our time – when cleaning exclusive fabrics, slow and steady wins the race. Our rug cleaning experts enjoy cleaning Oriental and antique rugs because no two cleaning jobs are the same when working with these unique and oftentimes decades-old pieces. We take pride in our ability to single out every little detail regarding your rug – the end result is nothing less than a perfect cleaning method. Washing rugs by hand is great, and should always be used when working with imported rugs. However, we also go above and beyond in order to achieve perfection – while we guarantee the use of gentle cleaning agents that will nurture your rug back to health, another company might use heavy chemicals during their 'handwashing' and damage your rug as a result. And what about the drying process? Often overlooked, incorrect drying can make the fabrics rougher (sometimes even permanently, to a certain extent) and can make the whole rug feel as if it has lost something. Cleaning rugs imported from the Orient is probably our most frequent task, but it can also be the most complicated one. We can't say we've cleaned two identical Oriental rugs, or even some near-identical ones – not too surprising, considering virtually every one of these rugs is handmade from start to finish. More than the weavers' personal touch plays a role in the end result – their mood on each given day also helps shape the rug's final appearance. To cherish this high level of uniqueness, we've worked on perfecting our Oriental rug cleaning process until we knew we could guarantee every millimeter of the fabric remaining the same. True to their purpose, most of our Oriental-rug-owning customers use them as wall decorations instead of floor covering, especially one that would receive traffic. Unfortunately, this doesn't guarantee that the rug will stay in good condition – from dust and mold to various pests that can consume parts of the rug, there is little chance of it staying pristine unless it's sealed in plastic wrap. Coincidentally, that's how your Oriental rug will seem after we're done cleaning it: as if it spent the majority of its existence sealed tight, away from any corruption brought by its surroundings. Having worked with the kinds of rugs we have, our promise is to stick to two goals during each cleaning job: to clean rug from every last particle of dust, dirt, grime and mold, and to maintain its original appearance as much as is within our power. 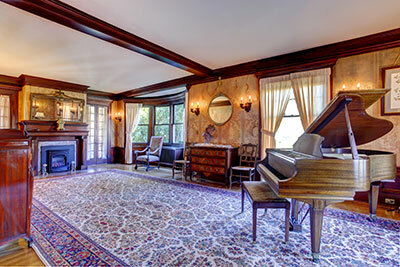 Just as each antique rug is its own story, every antique rug cleaning job needs to be a story of its own – a story of restoration and preservation, rather than one of damage and loss. We see antique rugs for what they really are – timeless gateways into cultures before they underwent massive changes over the course of centuries. A single antique rug can give any room a distinct and expensive appearance, but it can also make people lament on how the rug should have been better cared for. Despite the immense delicacy of the fabrics (and often the dyes as well), antique rugs need to be cleaned every so often to maintain the feel of the texture. They benefit from cleaning the same way any other rug would, although the methods are often a world of difference away. Whenever in the inspection stage of an antique-rug cleaning job, we think of ourselves as historians instead of cleaners – our job is to learn as much as we can about the rug's history and how it came to its current state. Only when we feel we can write a small book on your antique rug will we move onto the actual cleaning. Fortunately, cleaning tends to be a breeze by this point – gentle dry cleaning followed by hand washing with smaller amounts of water, topped off with a quick wringe that expels moisture from the fabric very quickly without damaging it. If you own an antique rug, you've probably been instructed not to have it cleaned at all due to its vulnerability. We fully agree with this sentiment when your rug is being cleaned by anyone other than Palm Beach Oriental Rug Cleaning Pros. Over the past few decades, Persian rugs have established themselves as one of the best ways to decorate any indoors environment and give it a special touch that is hard to describe with words. While their price puts them out of reach of many – especially in the case of larger or particularly old pieces – those fortunate enough to find themselves in possession of one will want to stick to it and pass it onto future generations. 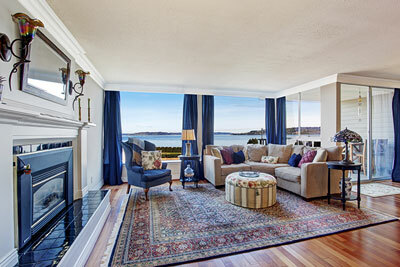 Given the Persian rug's role as floor covering just as often as it is decoration, this can prove to be a tall order. Traffic brings about dirt, which roughs up the fabric and makes it less smooth. More alarmingly, dirt left around for too long can permanently discolor the rug, which is why we recommend regular cleaning of Persian rugs that are used to cover floors. Persian rug designs are so detailed and colorful that we often have to take multiple high-quality pictures of the rug before the cleaning. This lets us present our customers with an effective before-and-after – our clients won't just see that the rug hasn't lost any of its shades, but will also notice an overall improved appearance. Owning a Persian rug can easily make you feel as if you are a sovereign in a far-away land, during a time long past – let us help you keep feeling as such for years and decades to come by having a rug just as clean as it would be in a royal palace. When talking about the delicacy of silk, it's important to differentiate between function and appearance. It's very hard for this high-end material to lose its strength, which is why handmade silk rugs can have such astoundingly-detailed designs (and why they tend to carry an astronomical price tag). Appearance, however, is another matter. Being too hasty or inexperienced with the cleaning of silk fabric can easily lead to loss of dyes, many of which are extremely hard to replace. 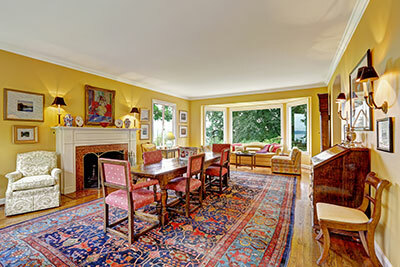 If you have a silk rug that's been gathering dust for too long, look no further than Palm Beach Oriental Rug Cleaning Pros for a cleaning company that handles even the most difficult cleaning job with ease. The amount of finesse in our cleaning technique lets us clean any rug thoroughly, and silk rugs are no different. For most, silk rugs are impossible to replace mainly due to the price that usually makes them a once-in-a-lifetime acquisition. With this in mind, we will always treat your silk rug as an object of utmost delicacy – not that this means our cleaning job will be anything other than complete. 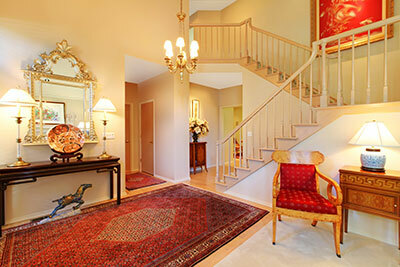 Silk rug owners often find that their precious rugs no longer shine after some time has passed. Layers of dust alone can take a lot of silk's unique appearance away and make it seem dull and uninspiring. We'll restore your silk rug to its original, dazzling appearance without ever placing it under risk of discoloration or any other issues that can arise from lackluster cleaning techniques. While other rugs are bought for aesthetic reasons as they feature complex designs and unique weaves, wool is meant to provide utility more than anything else. Despite the high price, few can disagree that a wool rug is a great investment for many different reasons: it keeps you warm during the winter, has its own way of keeping spills and fires at bay, and is geared towards the long haul. Due to the nature of the fabric, wool rugs are best cleaned by professionals who have experience dealing with finer and/or more specific materials – Palm Bay Oriental Rug Cleaning Pros fit this description to a T.
We don't just treat a wool rug like a piece of cloth – we understand that its fibers came from a living animal that, just like its owners, works full-time to give us one of the finest fabrics on the planet. We find this approach does wonders to preserve wool's unmistakable softness and finesse while also letting us clean the rug inside and out. Don't catch yourself becoming one of those wool-rug owners who force their rug to fend for itself. While wool's defenses are impressive, they're not magical. Don't wait until you learn of wool's limitations the hard way. Instead, have us keep your wool rug in its default condition: comfortable, clean and having a nice, natural scent.